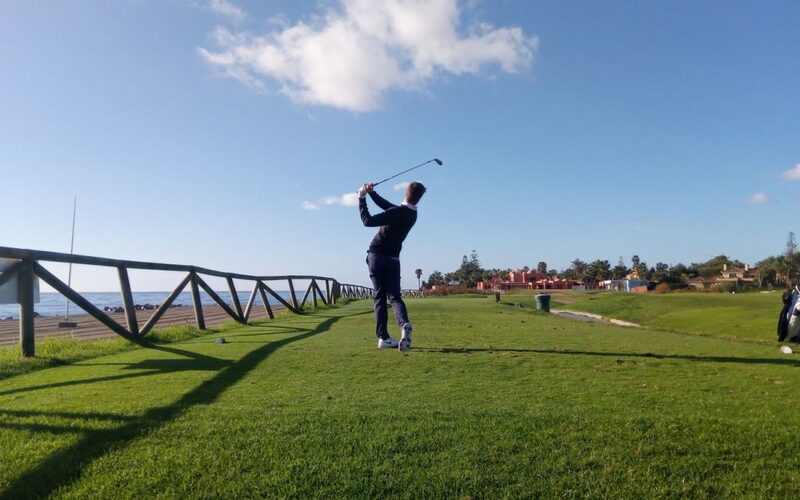 Malaga, January 12th, 2018 – 84 golfers have met to compete in Copa de Andalucia, which is also scoring for the Absolute and Boy Rankings and for the R&A World Amateur Golf. It should be noted that this competition is gaining great popularity, this year they have applied for registration almost double the number of golfers who finally have managed to participate. The male category has taken place at the Real Club de Golf Guadalmina, winning the cup the malagueño, Ángel Hidalgo. Five strokes have given to our captain Victor Pastor (who stood out on the first day with 66 strokes), the second place, sharing it with the Spaniard Eugenio López-Chacarra. UGPM players Andrea Gobbato and Jim de Heij have also participated in the event. The women’s category was played at the Atalaya Golf Country Club and our player Romy Meekers participated, being disqualified on the first day for committing a mistake regarding the rules of the tournament. The Barcelonan golfer Laura Pasalodos has been awarded the cup with a final score of -1.